It’s Spring… a busy baby time! Historically ABS statistics show that Australian’s birth more frequently in March and you guessed it Spring, which means statistically speaking your registrar may be following this trend and have their own baby due soon or in about 9 months time. As a rural GP Obstetrician, I have to balance my GP work and the needs of the pregnant patients I support. It is rewarding assisting patients with the births of their children. It’s understandable that as a profession we seek to support our GP colleagues through this process also. GPSA are often asked what practices are required to pay registrars when they go on maternity or paternity leave. The answer is practices are not required to pay registrars beyond their usual NTCER entitlements during this exciting and costly time. There is however the parental leave pay available to GP registrars, which is a direct relationship between the registrar and human services. You can assist your registrar by providing them with information about where they can find more information about the parental leave pay available from the Commonwealth Government, which we have provided for ease in this eNews. Though it is rare that a registrar would work for one practice longer than a 12 month period. 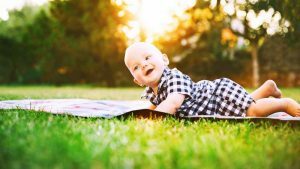 There are instances where this occurs and in these circumstances the parental leave pay may be paid directly to the employer and must then be passed onto the registrar. Under this scenario there is no out of pocket cost for the practice – it is a simple payroll transaction. If this is likely to affect you and your practice in the next 9 months, have a look – it may save you some time. The GPSA AGM is fast approaching. If you haven’t already considered working with a truly functional board, here is your opportunity. It is not a paid role, but the experience and collegiality among a truly exceptional board are priceless. Have a think about it. Also of note is that the AGPT program will go to a second intake having not filled all training positions for 2018. Take a look at the ethical dilemma cards in this edition and the best practice responses (cheat sheet for supervisors) created by MDA National. You can use these for in practice teaching. RUOK? – we hope so! Finally, we observed RUOK day last week. I hope someone asked if you were OK and that if you are not OK that you are able to reach out. Research shows doctors experience distress in the workplace at twice the rate of the national average for all work types. It’s a tough gig. Be kind to yourselves and those around you. We need each other. Ask – R U OK?